Named a "Book of the Century" by Christianity Today"If Jesus was not God in human flesh, Christianity is exploded," writes John Stott. "We are left with just another religion with some beautiful ideas and noble ethics; its unique distinction has gone." Who is Jesus Christ? If he is not who he said he was, and if he did not do what he said he had come to do, the whole superstructure of Christianity crumbles in ruin. Is it plausible that Jesus was truly divine? And what would that mean for us? 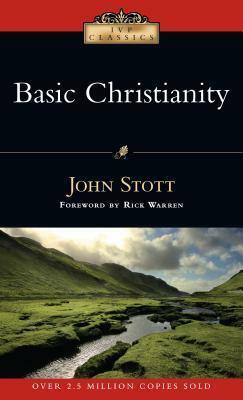 John Stott's clear, classic book, now updated, examines the historical facts on which Christianity stands. Here is a sound, sensible guide for all who seek an intellectually satisfying explanation of the Christian faith.